There are 35 reviews of Cool Water Game. In my collection mostly discontinued fragrances .this one is my favorite for summer. I'm a big Cool Water fan - I had the original back in the day and have enjoyed many of the flankers since then, with Cool Water Deep being a personal favourite. I was offered Cool Water Game at a heavily discounted price (£10) when I made a purchase in a department store recently, so I didn't hesitate. I kind of wish I had - whilst the initial clean watermelon note is very nice, the fragrance is so ephemeral that it's disappeared completely within half an hour of spraying. Basically I'm now going to use this as a spritz after sport - a nice post-shower pick-me-up after a long bike ride or a tennis match. As a daywear scent it's completely useless, however. Who wants a scent that has completely evaporated between the time you've got dressed and the time you've arrived at work? Davidoff, Cool Water, Cool Water Deep - massive thumbs up. Cool Water Game - nope. Not for me. Cons: Extremely poor sillage and longevity"
I wanted to hate this because it's Cool Water and a flanker. This actually turned out to be the best of the spin-offs. Both dewy and powdery, I liked it a lot. Very synthetic, but quite pleasant. I imagine this is what blue velvet smells like. (The fabric, not the movie.) A better alternative is 212 Pop or Green Valley. What I remeber about this fragrance is - whole lot of melon and then some. Fresh, spicy and a bit synthetic but overall not that hideous. People will like it, women will like it on me but I won't like it. I'll rate it neutral on account it is a good crowd pleaser. Mainly has a synthetic watermelon bubble-gum smell. Good for teenage males I guees with its sweet vibe. 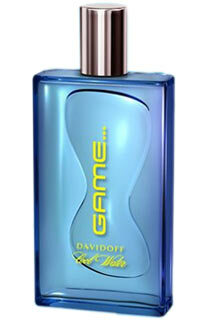 Difference between Davidoff Cool Water and Cool Water Game? ?